Heaven made your hand to compliment my hand, like heaven made my heart to compliment your heart. As you'll soon see in the images below, Kyle and Samantha's wedding day was far from ordinary. 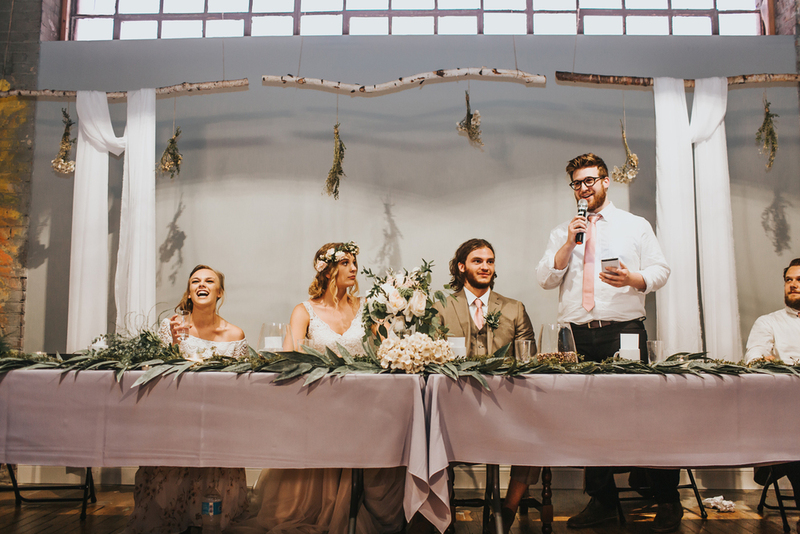 Before the wedding, the couple wanted to spend time together, but it was also important to them that Kyle not see his bride before the ceremony. So with Josh, I orchestrated the meeting in order to keep Samantha hidden from her groom. With Kyle's eyes closed, Gentry, Kyle's best man, led Kyle to the center of the Oak Openings pine grove, and positioned him so he could not see Samantha approach. Happy tears graced sweet Samantha's eyes the moment she saw her soon-to-be husband. She beautifully walked toward him, and gently touched his arm. Kyle was excited, and so it was hard for him not to turn around to see his gorgeous soon-to-be wife. However, he did not. So at the crescendo of the ceremonial processional, the moment when he finally saw her, I image, he would agree to what I am about to say...it was worth the wait. 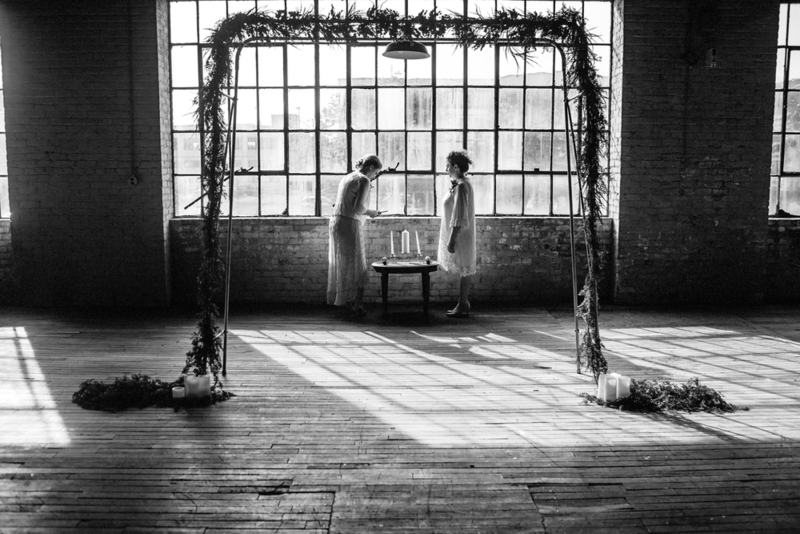 As they tearfully and in elated joy exchanged the vows of their hearts to one another, golden light burst through that grey Toledo sky, shone through the weathered windows and illumined Kyle and Samantha's wedding day silhouettes. Every bit of their hearts was poured into their words, and as they made their precious promises to one another, every ounce of the love that they encompassed was made transparent to their family and friends who were so honored to witness and experience the joining of this brand new family. 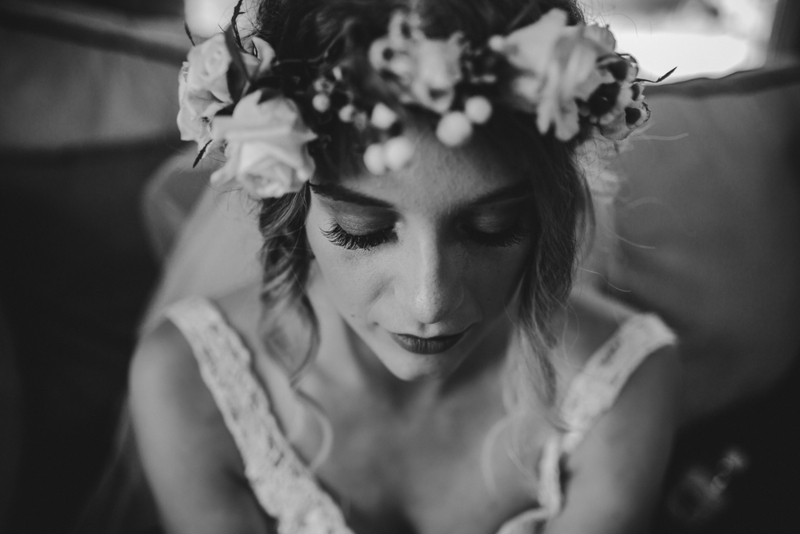 The sacredness involved in a ceremony is so special and so priceless that I am hard pressed to find anything more beautiful in life than that of a wedding. The only earthly thing in my heart that surpasses the beauty of a wedding day is the birth of a child; but both of these events are connected. They are both of family and they are both of legacy. And so I am so very honored to have witnessed the matrimony of this family and to have created the documentation of Kyle and Samantha's legacy. If you would like to see their engagement session, you can do so here.